Citrine Luminary has yellow flakes that shift pink and orange, in a yellow-tinted base that dries matte. I'm especially glad that I bought Citrine. It's a complete standout among this type of flakie. I don't have any others that are even somewhat similar. Karen was right about the formula too. It's great! Super smooth and even. I'd probably have bought it sooner if there had been swatches somewhere. This is one coat of Citrine over Zoya Chanelle and the tinted base didn't noticeably change the color below. Because the base is surprisingly smooth, it doesn't take a ton of topcoat if you want to gloss it up. 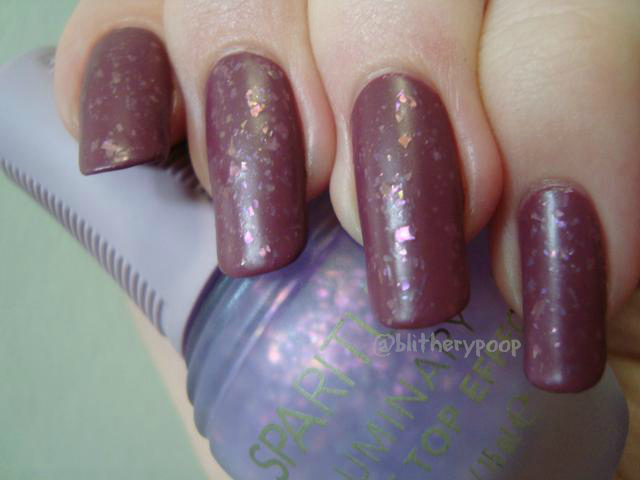 Opal Luminary has lilac flakes that shift orange, in a purple-tinted matte base. While it's less unique than Citrine, I like Opal too. For some reason it didn't dry quite as smooth though. 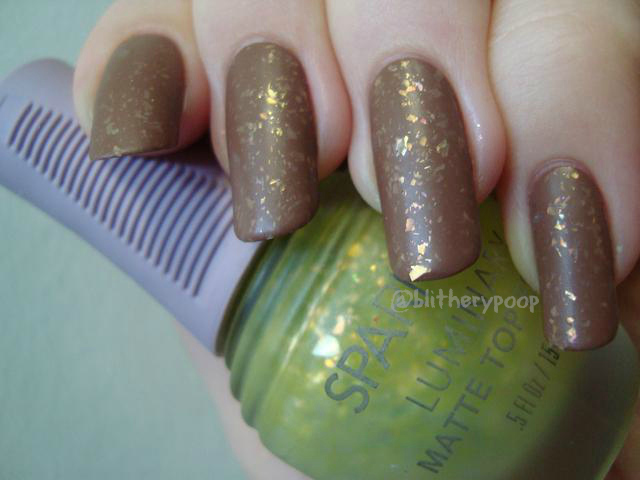 This is one coat over Zoya Aubrey, with no change to the base color. It took a little more topcoat to smooth Opal out, but nothing excessive. Bottom line: I prefer Citrine for both color and formula, but Opal is nice too. Both are worth picking up, especially if you like this type of flakie. Has a friend convinced you to get something recently? What was it and how'd you like it? So glad you like them, I was really surprised how much I liked Citrine as I am not the biggest yellow/gold fan. Its really pretty and unique tho ! Also at 3.00 or whatever it was on the Ulta clearance - totally worth it !